Everyone is always looking for ways to keep students moving forward in their understanding and when we have the right tools in hand we can do just that. This activity made me AND my math coach very happy. If you are in a teaching situation where you are constantly having to prove and justify how you support the tests, this just might be the activity you are looking for because it does a good job of providing practice for musical and math skills. If you decide to download this activity, AND if you use it, please let me know how it goes, I’d love to hear back from you. 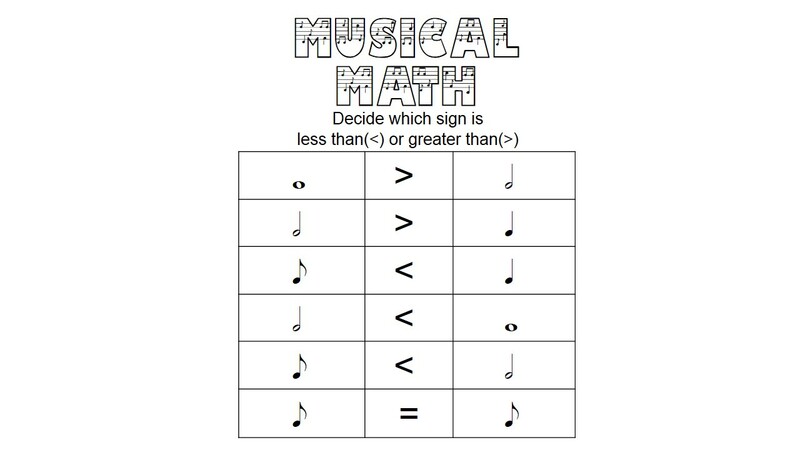 Since I am a music teacher, I know all about music math! I can tell you honestly that using music to teach math concepts works at every level. I have used it for addition, subtraction, division and multiplication! Just found you from the Ultimate blog challenge. I'm going to find a way to follow you. I am a homeschooling mom who has a daughter who takes piano so I can definitely see me using these! Thanks for sharing them!